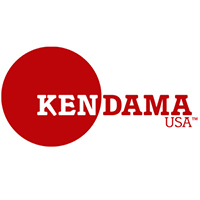 This caramel colored Kendama is made of padauk wood; a rich orange wood that turns progressively darker as you play and infuse your essence into it. We have paired this Kaizen shaped ken with a silk painted Tama to maximize the grip and playability. Satisfy your sweet tooth with this creamy caramel. Padauk wood is a much oilier wood than beech, birch, etc. Even after thoroughly drying and cutting, it’s normal for some of the natural oils in the wood to continue moving out to the surface and crystalizing if it has not been touched for several weeks (not being played) It’s the same oil that gives the Padauk that extra sheen the more you play. It will wipe off very easily and even though the crystallization appears white, it’s not mold or anything dangerous like that. Customer evaluation for "Kaizen Paudak Wood - Caramel"